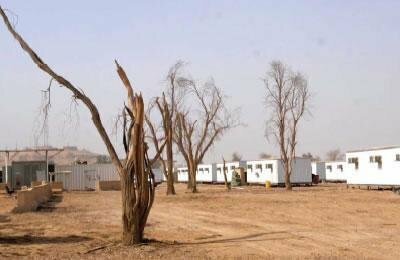 As of February 17, 2012, as a goodwill gesture, 3000 Iranian dissidents residing in Camp Ashraf in Iraq began their relocation from Camp Ashraf, their home of 25 years, to Camp Liberty, a former U.S. military base near Baghdad international airport. They volunteered for this transfer even though minimum guarantees for their safety and security have yet to be provided by the Iraqi Government or the United Nations. The Iraqi-imposed inhumane and humiliating conditions under which 3000 residents were transferred to Camp Liberty, as well as the atrociously sub-humane living conditions of the camp amply reveal the nefarious intentions of the Iraqi Government.